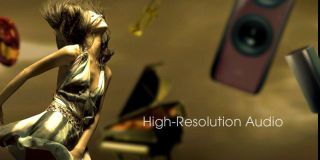 Record labels and streaming services announce support for hi-res music | What Hi-Fi? Pandora, Rhapsody/Napster and HD Tracks join Universal, Sony and Warner Music Group in supporting hi-res music. But Apple Music and Spotify were both absent from the announcement. Three major labels - Universal Music Group, Sony Music and Warner Music Group - have joined the Recording Industry Association of America (RIAA) and audio streaming services Pandora, Rhapsody/Napster and HD Tracks in declaring their support for studio-quality music streaming. The initiative is in conjunction with the Digital Entertainment Group (DEG), which promotes entertainment products including music, film, television and other consumer electronics, and is also backing hi-res audio with a "Stream the Studio" marketing campaign. Members of the DEG include Amazon and Google Play, who each have their own music streaming services - Amazon Prime Music and Google Play Music. However, there are currently few specific details of how or when these services might introduce steps to provide better quality music. This news follows the recent update to Tidal's streaming service, which now includes MQA audio technology as a part of its HiFi package. The resurgence of vinyl, which has a greater audio quality than MP3s (and might make you happier), shows that there is a market for higher-quality audio. It is possible that streaming services will follow a similar path as Tidal, and provide premium subscription tiers for hi-res audio. Last year, Neil Young announced that his prism-shaped music player the Pomo, which failed to gain much of a user base, is developing into a music streaming service. Notably absent from the announcement were the two largest music streaming services, Spotify and Apple Music - and while there are already ways to play hi-res audio on iPhones, it requires third party software such as VLC player.